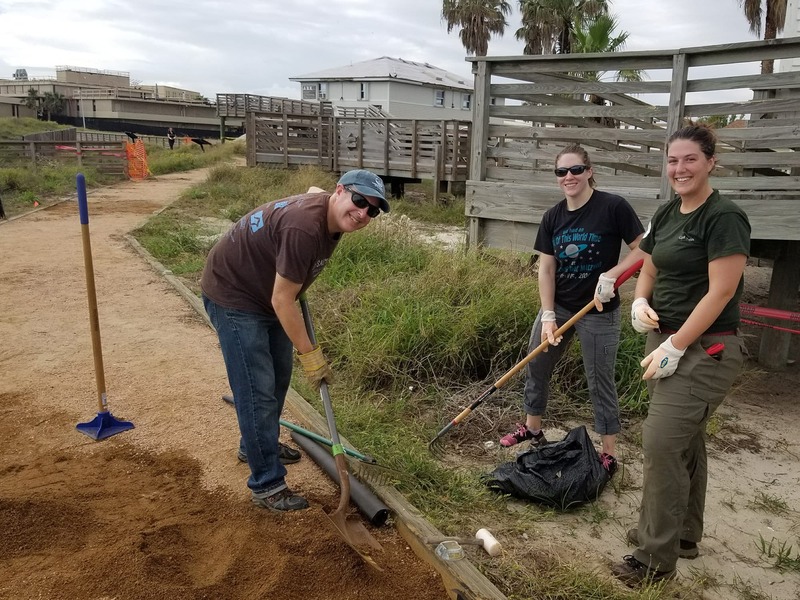 On November 16, 2017, volunteers replaced pea gravel blown away during Hurricane Harvey on the trail at the Wetland Education Center at Mission-Aransas National Estuarine Research Reserve in Texas. The Wetland Education Center offers trails and interpretive signs that help educate visitors on the surrounding wetlands. Staff who remained on site during the hurricane said that pea gravel from the paths pelted buildings on the reserve "like thousands of bullets."